When I was growing up, alarm clocks were wood-paneled that showed bright red or blue digits for the time. The ever important snooze button was always set at 7 minutes. Today's alarm clocks are a lot more sophisticated. The La Crosse Mood Light Alarm Clock (model C85135) features mood lights that you can set and nature sounds which is a lot more pleasant to hear at 6am in the morning versus an annoying buzzer. And yes, the snooze can be modified - 30 minutes always seems to be perfect for me, but you can customize it anywhere from 5 to 120 minutes. 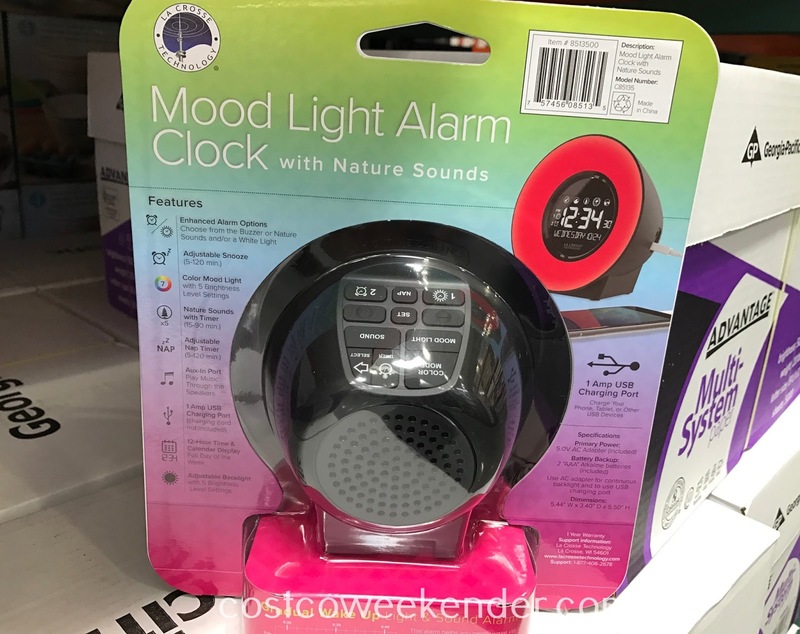 What's great about the La Crosse Mood Light Alarm Clock is the auxiliary input, so that you can play music from your iPhone or Android smartphone. 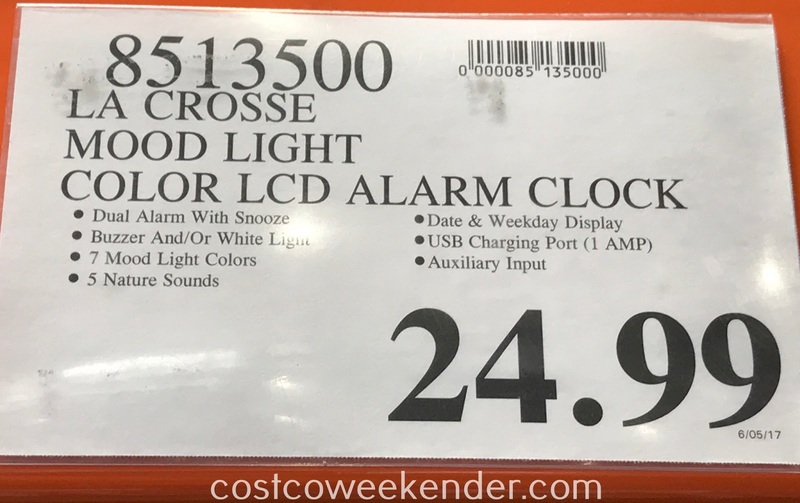 The La Crosse Mood Light Alarm Clock will make waking up easier, and I'm all for anything that makes my Monday mornings smoother.